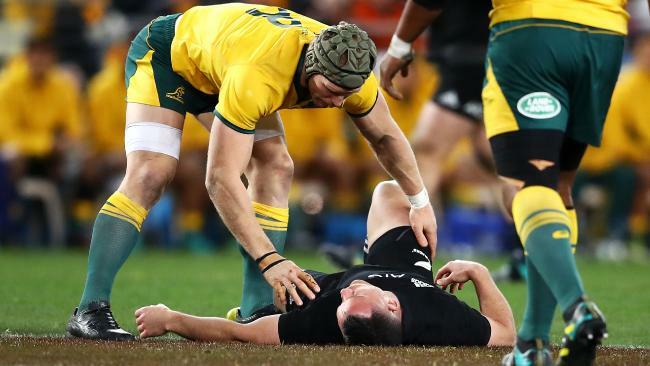 David Pocock of the Wallabies checks on the injured Ryan Crotty of the All Blacks. THE ultimate competitor - and the ultimate class act. As the career of an All Blacks star hangs in the balance, Wallabies warrior David Pocock has earned heartfelt praise from his chief Bledisloe Cup rival after coming to the stricken player's aid. Ryan Crotty, New Zealand's underrated centre, was knocked out by friendly fire after a head clash with Jack Goodhue early in their 38-13 win against Australia in Sydney. It was Crotty's sixth concussion in the last 15 months and at the very least he will miss Saturday's return clash at Auckland's Eden Park. As play continued at ANZ Stadium, Australia No 8 Pocock parked his pilfering instincts to prioritise Crotty's wellbeing. 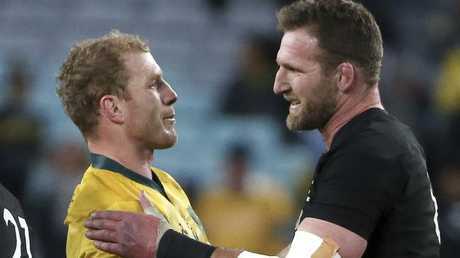 New Zealand’s Kieran Read shakes hands with Australia’s David Pocock. Cane, who has had his own issues with concussion, was deeply concerned for Crotty's future. "It's not nice to see," Cane said. "It's just a tough injury. "Everything else has a time frame but there's just so much unknown with head knocks and it seems like you can be only one away, if it's the wrong one, from it being then end of it. 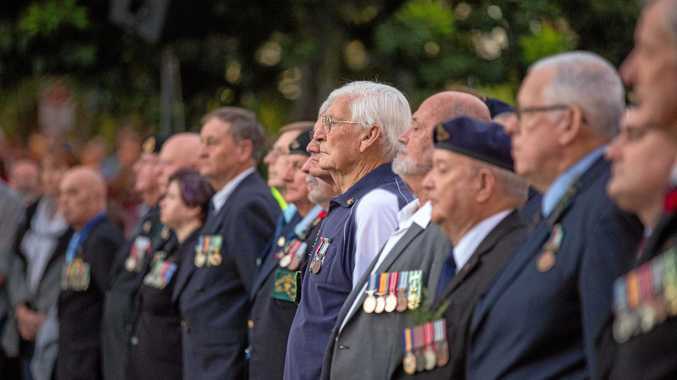 "I've seen that with a few mates. "It certainly helps you appreciate every week and every game you have and realising how fickle it can be." Rieko Ioane has also been ruled out of Saturday's second Test with a hamstring injury. Jordie Barrett and Nehe Milner-Skudder are the other back three options in the All Blacks squad. Meanwhile, Crotty's sister Shea, a former New Zealand basketball representative, took to Twitter to share her concerns.